November was “buy a condo month” in Vancouver. It was almost as if after having read the news that the Vancouver housing market was “frothy” and at the “lower end of balanced”, that buyers said, “Don’t know what that means but sounds good to me. Time to buy a cheap condo.” November sales, especially high rise sales, beat expectations and were up in many markets with the demand being for smaller, less expensive units. Interestingly, the markets with the biggest declines in average MLS high rise selling price in November were Downtown and Westside Vancouver and Richmond. And Richmond didn’t have much of an increase in sales. So what’s this all mean? Are Chinese buyers no longer snapping up trophy properties? Have buyers realized that smaller, less expensive units actually have a resale market? Or perhaps buyers are just playing catch-up after staying out of the market for a few months? November MLS high rise sales picked up sharply in several markets, making up for lacklustre sales over the past couple of months. Sales were up in Downtown Vancouver, Westside Vancouver, Burnaby and Coquitlam-Port Moody-PoCo. Buyers in these markets tended to focus on lower priced listings and as a results average MLS selling prices were down sharply in several markets. However, MLS high rise sales in Richmond didn’t follow other markets. Richmond buyers also focussed smaller, less expensive units but sales volumes were up only marginally from previous months. About 440 high rise units sold on MLS in November. This was up from 285 sales in October. Year-to-date MLS high rise sales are now 8% higher than for the same period in 2010. The average selling price for MLS high rise units in November was $501,000 or $568 psf. This actually down by 2% from 12 months ago. With the addition of November sales, sales of smaller high rise condos under 700 square feet and less than $350,000 made up 30% of total MLS high rise sales over the past three months. Only 20% of active listings are in this size range. MLS low rise sales also picked up in November but not as much as high rise sales. Total MLS low rise sales for the month were close to 445 units; up from 340 units in October and up from 360 sales 12 months ago. Year-to-date MLS low rise sales are now 5% higher than for the same period in 2010. The average MLS selling price for low rise condos also didn’t change much from previous months. Overall average selling price in November was $329,000 or $367 psf. This is up by 6% from 12 months ago. The average list price in November was $298,000 or $323 psf suggesting that low rise buyers aren’t totally motivated by price alone. Small low rise units under 600 square feet in size are not in great demand. Only 7% of MLS low rise sales over the past three months were in this size range. Most low rise buyers are looking for product in the $250,000 to $350,000 price range and this means units in the 600 to 1,000 square foot range. November MLS sales of townhouse condos were also better than expected. Total sales were close to 370 units; 100 sales more than in October and about 100 better than 12 months ago. Sales in North Surrey, Richmond and Coquitlam-Port Moody-PoCo were all up in the past month while average selling prices remained steady or declined slightly. Year-to-date MLS townhouse sales are now 1% ahead of the same period in 2010. The overall average MLS selling price for townhouse condos in November was $466,000 or $304 psf; down from an average price of $486,000 in October and up by only 2% from 12 months ago. Most of the demand for MLS townhouses continues to be for product in the 1250 to 1750 square foot range priced under $500,000. © 2011 REW. All rights reserved. Real estate outside Metro Vancouver has a better chance of rising than in B.C.’s metropolis, according to real estate investor, blogger and consultant Ozzie Jurock. He said price increases during the past full year mask price drops since May. Higher prices for single-family homes also mask drops in the overall value of condominiums. Jurock explained the disparity as a result of speculation from Chinese investors who prefer single-family homes. Cheap property in U.S. sand states such as Las Vegas and Arizona is attracting a lot of potential real estate money from Albertans, who otherwise would have been more willing to invest in the B.C. Interior or on Vancouver Island. 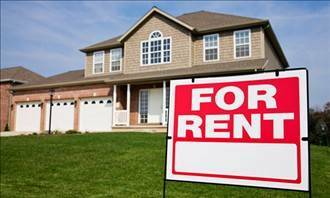 If you’re thinking about investing in a rental property, experts say low home prices combined with low interest rates make this the best time in years to become a real-estate investor. What’s more, the real-estate market is starting to recover: U.S. houses lost $489 billion in value during the first 11 months of 2009, but that was significantly lower than the $3.6 trillion lost during 2008, according to real-estate website Zillow.com. Know your options. Since not all investment properties are the same, it’s important to determine what type of property fits your strategy, says Harrison Merrill, chief executive officer of Merrill Trust Group, a real-estate investment company based in Atlanta. Do you want to become a landlord, or would you rather restore and resell properties? Are you interested in apartment buildings and other commercial real estate, or in buying land that can be developed? First-time real-estate investors may want to start with residential housing, since commercial real estate and land development still face challenging market conditions, Merrill says. Partner with experience. First-time investors should find a real-estate agent experienced in investment property deals who can help you locate promising properties. “Look for relational brokers who expect to do business with you again and therefore are going to be much more careful with what they recommend,” Merrill says. A second option is to collaborate with a more experienced real-estate investor and close a deal together. In this economy, an experienced real-estate investor may be willing to work with you in exchange for the capital you can provide, giving you the opportunity to glean investment knowledge and experience firsthand, Merrill says. If you buy a property with hopes of renting it out, location is key. Homes in high-rent or highly populated areas are ideal; stay away from rural areas where there are fewer people and a small pool of potential renters, Sjolin suggests. Also, look for homes with multiple bedrooms and bathrooms in neighborhoods that have a low crime rate. “Renters gravitate to a safe neighborhood, and if they have kids, they will want a good school district,” Sjolin says. Also think about potential selling points for your property. If it’s near public transportation, shopping malls or other amenities, it will attract renters, as well as potential buyers if you decide to sell later. The more you have to offer, the more likely you are to please potential renters, Sjolin says. Have capital lined up. Speak to potential lenders or even a financial planner about whether you have enough assets to handle the ups and downs that could come with investing. Even if you plan to rent out the property, count on paying the mortgage whenever there’s a vacancy. “If you can have about six months of mortgage payments saved up, it’s there if you need it, and you can use that money for repairs,” Sjolin says. Even if you’re planning to fix up a home and sell it, you may end up holding onto it for several months in the current market, Sjolin adds. Build a supporting cast. Don’t wait until a rental property needs repairs to find someone to handle them. “Line up maintenance individuals who can take care of the different challenges that occur so you can simply call the person when a particular issue comes up,” Taylor says. Other sources you may want to have relationships with are an attorney to consult with on tenant issues, a property management firm to handle the day-to-day rental affairs and an accountant to help you understand the tax ramifications of investing. The more support you have, the better you will be able to handle the problems that come your way. Read: Can flippers save the housing market? Is it smart to sell your home during the holiday season in December and January? It’s the slowest time of the year, and the number of house listings takes a steep dive. Last year in Metro Vancouver, for instance, both new listings and active home listings dropped by 43 per cent in December. But REW.ca’s survey of recent and future home buyers and sellers surprised us! Despite the busyness of the season, despite cold weather and early darkness, despite fewer house listings, about two-thirds of our survey respondents said they would buy a home during December and January. It’s a common belief that December and January aren’t a good time to sell your home, but our first annual REW.ca consumer survey found that buyers in the Lower Mainland don’t believe it. Over two-thirds of them see no problem in house hunting during the so-called down times of December and January. In fact, the majority think that’s a good time to buy… and that means a new opportunity for both sellers and Realtors. You’re going to be dealing with serious buyers. Many people who want to buy in December and January are aware that there are bargains out there. Consult with your Realtor to determine the ideal price for your home and make a plan for negotiating to reach it. Initial lowball offers shouldn’t necessarily be rejected. They may be just a starting point. How do the front and back yard look? It’s winter and the garden is sleeping, but can you make it look better with pots of attractive winter-hardy plants? If you’re planning on selling, it’s probably worth the investment to hire people who can add curb appeal to your home. Avoid overtly religious seasonal decorations during the holidays. The Lower Mainland is home to so many cultures. House hunters have their own religious and cultural ideas. In our multicultural region, you’re best to decorate with a nature theme: evergreens, rosemary branches, candles, berries, pinecones, lights. A few dramatic sprays or a small tree are festive without being overbearing. House hunters want to see everything, so don’t use holiday decorations to hide some flaw. Cracks, mould, water stains, whatever.. it’s better to fix them than hide them. Otherwise, like the Ghost of Christmas Past, they’ll come back to haunt you. This is the season when you can really appeal to the most primal sense: smell. For open houses, simmer a big pot of some kind of punch with apple and spices on the stove to make the space smell like everyone’s best memories. Or bake some special cookies just before you leave. You’re busy, your Realtor is busy, everybody’s busy — you can get away with just a couple of open houses during the holiday season. There are interested buyers out there. They’ll come because they’re serious. Buyers will be doing much of their house hunting online, so work with your Realtor to make your listing really sell your home. Remove all clutter from areas being photographed, and use throw pillows or other small decorative accents to add drama. Include lots of photos — even a virtual tour — so viewers can get a real sense of your home. Include a couple of summer photos so people can see what the garden looks like at its best. In the listing itself, include key words that people will use in their online search, including the neighbourhood, the schools nearby, and the style of home. Use these more than once so the search engines will give your listing a better position in the search results. Finally, check the copy for spelling and grammar so it looks professional. The Internet makes house hunting a lot easier, no matter what the season. No need to slog around checking out dozens of homes when you can eliminate the non-contenders while sitting in your La-Z-Boy with your iPad in your lap. And that’s changing the conventional wisdom about buying during the busy holiday season. Looks like taking a house off the market during December and January is one holiday tradition that can be forgotten. Many companies market real estate products and services to our members. We caution you to always make sure you fully understand what you’re getting when purchasing one of these products. As an example, a recent email received by Board staff (and likely many members) positions a simple remote desktop program as a solution to “run MLXchange on your iPad or iPhone” for a high yearly subscription fee. In reality, this program will not allow you to run MLXchange on your iPad or iPhone. It’s a simple remote desktop program that allows you to access your home computer through a mobile device like an iPad. Programs like these are available for as little as no cost (they can range up to $40) with no subscription fees. Because these remote access programs can vary greatly, the Board cannot offer technical support for them. It’s always a good idea to do research and get advice when considering these kinds of products. If you have questions about Board-specific programs or services, check with the Help Desk at 604.730.3020. Kurio, the free mobile service that delivers MLXchange data to REALTORS® on the go, has registered nearly 2,500 users at the Board since it was released in September. Kurio can be used on your mobile devices, including iPads or other tablets as well as smartphones. Kurio allows you to stay connected to the latest market information when you’re out in the field. You can find the nearest open houses, the latest price changes, the most recent sales, search for specific properties and more. There’s no extra cost for Kurio, but you must register with the site to begin using it; visit www.mlslink.mobi to learn more and get registered. © Real Estate Board of Greater Vancouver. You are currently browsing the Les Twarog Vancouver Real Estate and Condo Blog blog archives for December, 2011.